Manufactured by one of the largest refiners worldwide, this piece is created with soft etched lettering on the foreground with a mirror finish background. One of the most recognized pieces providing excellent investment value. 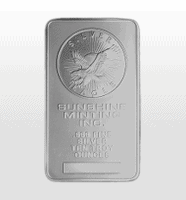 Crafted by the Sunshine Mint, this piece boasts a high quality gloss sheen, both front and reverse. 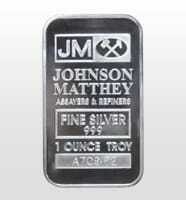 Created with .999 fine silver, this 10OZ bar is a great investment piece for your collection.